Regular Joe: The Redlegs of Barbados - Cromwell's Irish "Slaves" & The Last Emperor of Byzantium. 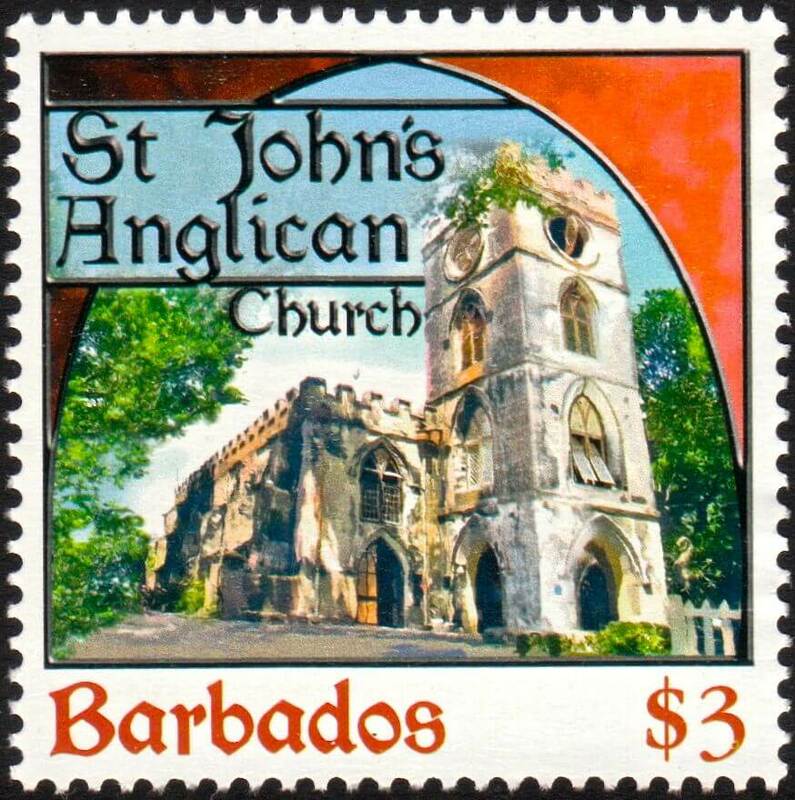 The Redlegs of Barbados - Cromwell's Irish "Slaves" & The Last Emperor of Byzantium. * Note - there has been a lot of debate and controversy recently over what many call the "myth of Irish Slavery". * A few years ago, myself and a friend visited another old friend of mine in Barbados, the Caribbean Island that has a history of sugar-cane production, piracy, plantations and slavery going all the way back to the mid-1600s. We toured some of the old plantations, saw the bells used to call the slaves to work in the sugar-cane fields, the crumbling old planters' mansions and the 18th Cent protestant churches that look as if they have been picked up from the outskirts of an English village and planted in the midst of palm trees and sugar cane fields on the wild Atlantic edge of this tiny Caribbean island. 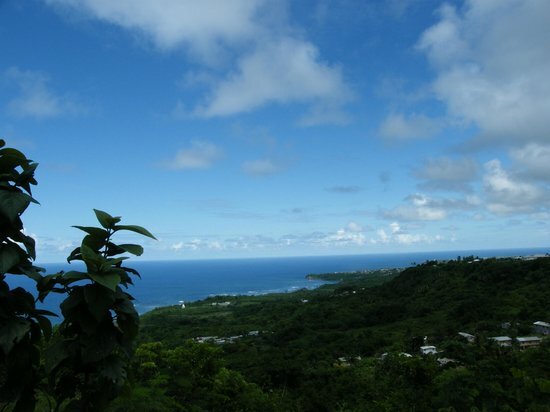 Barbados is tale of two coasts - on the calmer western, endless golden beaches, hotels and tourist development. Over on the Atlantic side, the rough seas, driving winds and wild shorelines common to the Windward Islands (it's also where popstar Rhianna is from and she has Irish ancestry through her father's side. He's a Fenty, one of the descendents of the Irish brought over after the Cromwellian conquest. Rhianna also really likes the chain of fast food joints selling Piri-Piri chicken - Chefette. This, and a fabulous singing voice, is all that Rhianna & myself have in common. 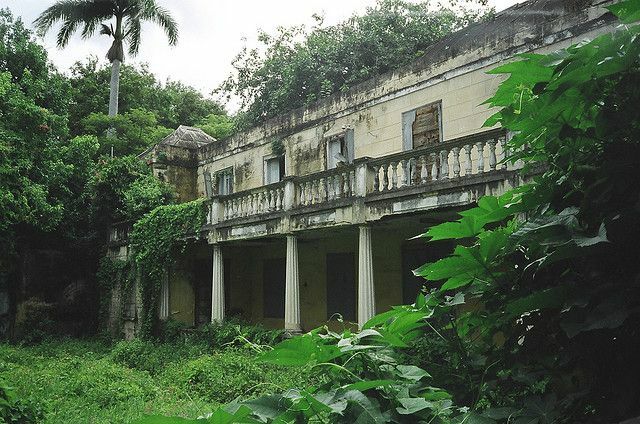 It was while we were exploring the wilder side of the island that we had a strange encounter with the descendents of the white Irish slaves brought to Barbados after the Cromwellian conquest of Ireland and the ethnic cleansing that followed. For one version of the story - you can read "To Hell Or To Barbados - : The Ethnic Cleansing of Ireland [Sean O'Callaghan]", a book you can get on Amazon etc. But fair warning - it makes an argument that some Irish historians are strongly opposed to - that you can equate or measure the transportation of Irish to the Caribbean with the brutal enslavement of millions of Africans. Here's my story of what we came across, strange echoes of a chapter of Irish, English and Caribbean history. And a chance discovery of the last remnant of the Byzantine Empire, on a cliff above the Caribbean shore. In 1976, an Irish documentary team went to the Caribbean Island of Montserrat to film the people there, many of whom had descended from Irish families brought to the sugar plantations after the Cromwellian conquest, they had been robbed of their lands and transported as Indentured Servants (or "criminals", rebels and traitors - Catholic, basically). In 17th century, going from Cork or Tipperary to Barbados must have been like travelling to the Moon. The clip below gives you a flavour of the extraordinary echoes of those people and those times that were still heard on the island in the 1970s. Montserrat suffered a cataclysmic volcanic eruption in the '90s but people have returned to the island and it still has a very strong Irish legacy & tradition, they still celebrate St Patrick's Day there every year. I have been to Barbados several times myself, have a very good friend living there and it's a beautiful island. The Irish were back in the '90s and Noughties, this time buying up holiday homes and hotels as the Celtic Tiger gave us (well, a few of us) economic power that the first Irish to land on those shores couldn't have dreamed about. On a trip up to St John's Church - an extraordinary 17th Cent Church (although it has been rebuilt a couple of times) we came across the grave of one Ferdinando Paleologus, a descendent of the brother of the great Emperor Constantine XI. Ferdinando was the last of the Byzantine Imperial family from the 1400’s that produced the last Christian emperors of Greece. He fled to Barbados after the 1645 Battle of Naseby in England. His family had been driven from the throne of Constantinople by the Turks. He was a church warden of St. John’s Parish having lived there for 20 years where he owned a 197-acre plantation, which he managed from 1649 to 1670 and later died there in 1678. When Paleologus died, he was buried in the St John’s Parish Church, since he had been a prominent person in that community. What a strange story, the last remnant of an ancient empire, itself a remnant of Ancient Rome, washed up on an island on the other side of the Atlantic, not even known to Europeans when his ancestor became the last Empire of Byzantium. As if finding the grave of the last of the Byzantine Imperial Family in a deserted, cliff top graveyard in the Caribbean wasn't strange enough, we also came across a group of what my Bajan-resident friend told me were Ecky-Becky's or Redlegs - the descendents of the Irish transported to Barbados after Cromwell, people who had worked alongside the black slaves in the sugar fields (often as overseers or foremen) and had then stayed on their hillside farms in the more remote parts of Barbados after the end of slavery. They are also called the "Poor Whites" and have often been seen or portrayed as something of an underclass, hillbillies, backward, insular people. They were called "Redlegs" because of the colour their pale Celtic skin went in the sun. They are in Barbados and on other islands such as St Vincent & Grenada (they are also not exclusively Irish, the Caribbean has always been a melting pot). Bajan popstar Rhianna has Irish ancestry on her father's side. Born in the parish of Saint Michael, Barbados on February 20, 1988, her mother Monica Braithwaite, a retired accountant, is a mix of African and Guyanese. (Guyana is located off the northern coast of South America). Her father, Ronald Fenty, was a warehouse supervisor. He is of Barbadian and Irish ancestry. Or as they would say in Barbados, a "Redleg". Here's a brief video and some photos from Barbados - and it gives you some sense of what it's like to run into some Ecky-Beckys (nobody's quite sure where this slang term came from) - these are sunburnt Irish faces amongst the more familiar faces of the Caribbean. It's strange seeing faces of what look like West of Ireland or Munster men and then hearing the accents, strong West Indian. The names are Irish, Dixon, McCarthy, O'Brien, the voices are pure West Indian. They ended up on the other side of the Atlantic because of conquest and clearance, their descendents became an isolated community of Irish people, marooned on a paradise island. Barbados is changing, more tourism, more money, more development, greater links with the rest of the Caribbean and with the wider world. The Redlegs are a throwback. And there is a sense that they are now very much out of time and place. But it is a fascinating story, nonetheless. Your last conclusion "now very much out of time and place" was voiced 150 years ago and repeated by various commentators, but in the 21st century that sub group is still very much around. Have been tracing my roots for many years, my Grandfather, a Fenty was born in Barbados and my research has taken me there and to Scotland, an area near Bamff. I just returned and went to an area called Easter Whyntie, one other spelling of Fenty. There are other spellings, Fentie, Fynty, Foyntie, Fintie, what happens is in different areas the name is the same and pronunciation differs. There are Fenty's in Aberdeen, Edinburgh, and other areas of the North. Yours is the first that i have heard of Ireland. Hiya, there are Fenty's in Ireland - and variations of that - including Fenton. Thank you for a well written blog on the subject. My grandmother came to America from county cork. She was a strong stern woman.she wasn't one to tolerate moaning, had no patience for those who suffered in their own misery. She told me many times about these ships being loaded up at the docks with children and woman slaves bound for America. She said, the English masters forbid the indentured Irish servents from dance, card and game playing. They were not permitted to walk about, were whipped, starved often would die in slavery. As a child in the 70's I would often ask why no one knew about it or talked about it? This was not something learned in american schools. She would always reply it was not right or fare to share your misery because of the blacks who suffered a far worse plight, be thankful you're alive pet. My Dad's Irish ancestors came way back. I don't know when but, we traced his line back to the Revolution the boy was just 11 when " honored " as being the youngest bugle boy in the war. My family on both sides loved America and did what it took to hold on to our Irish heritage. I don't care what these historians say about it, I believe my nana. It is just so unsettling to hear this become the news of the day. After years of keeping our mouths shut out of respect for the suffering of African Americans. To have Irish scholars writing and minimizing this history. I do not agree with the whites who say it as a reply to a black person to stop an argument on slavery. I have not done this myself but, when i do hear the blacks say, often "Your People" or "You are to blame for enslaving blacks". I will not OWN what those people did as "my people" just because,I am white. I know who my people are, I know my heritage. I know the House of Burgesses and The Governor's counsel met in secret to make laws for the colonies and special laws for the Irish and worse laws for the black slaves. This is all political correct non sense we cant say Irish slaves now but who the hell knows what indentured servant really means for the people who did this their wasn't much of a difference was there. I'm looking for my daddy roots. He was ecky Becky living in St John. His last name was Coddington. It's quite weird to think that you can travel all over the island without knowing of the existence of these people. I certainly didn't until after I saw a documentary on Scottish tv. I think it would be good for the Irish and Scottish governments to recognize these unfortunate people who are obviously living in abject poverty. Why are there no Barbadian social workers getting involved? A great read! Thanks for posting, Josef! My great uncle, 13th generation barbadian, used to tell me about poor white people living in caves in St John but I never met one and never heard about them being particularly Irish.